President Trump is expected to recognize Venezuelan opposition leader Juan Guaido as the legitimate president of Venezuela once Guaido takes the oath of office – a move that could take place as early as Wednesday, three sources familiar with the matter said. The expected move comes nearly two weeks after Venezuelan President Nicolas Maduro was inaugurated for a second term that the US, dozens of other countries and the Venezuelan opposition have been decried as illegitimate. 1; the president of the National Assembly – as the country's legitimate president and top Trump administration officials have ratcheted up their public statements, laying the groundwork for this step. 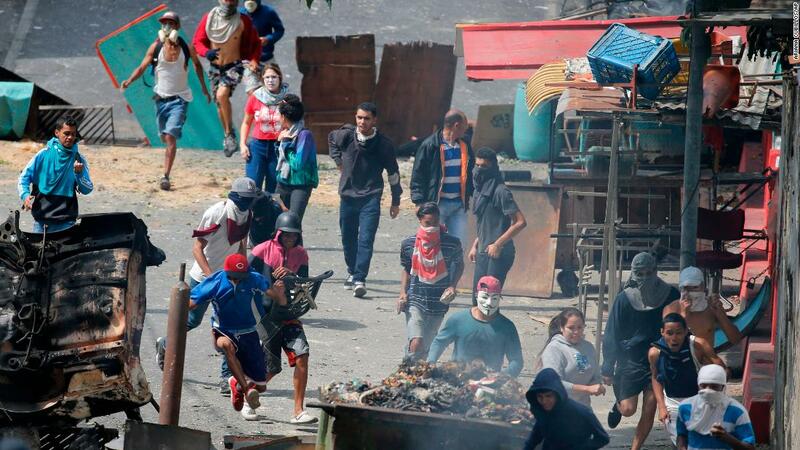 The White House is closely monitoring this week's protests and Maduro's response. On Tuesday, Vice President Mike Pence issued a message of support to Venezuelan's planning to take to the streets, saying they had the "unwavering support of the United States." Depending on the severity of Maduro's response, Trump is also prepared to take a range of actions to punish Maduro, including possible oil sanctions, two sources familiar with White House deliberations said. White House press secretary Sarah Sanders did not immediately respond to a request for comment.